Meteor Car Safety Torch. A must have. 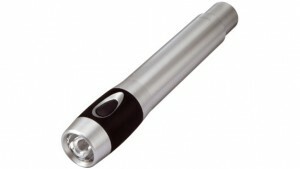 Ultimate designed personal safety torch with safety belt cutter, window breaker and spare bulb. Metal.